A typical romanticized portrayal of the Roma people. The Roma people are probably better known to you as “Gypsies” from literature, film and television (we prefer the term “Roma” – see the end of this article for an explanation). For centuries, they migrated across central Europe as nomads, moving in large groups from town to town. In popular stories they are viewed at best as craftsmen, entertainers, and fiercely loyal to their own… at worst they are considered thieves, vagrants and dark magicians. In reality, the Roma are a people with their own culture, traditions and history. The Roma people originated in India (this explains their dark skin), and began migrating toward Europe as early as 1200 AD/CE. Through the centuries, they gathered into family groups or tribes. These groups frequently moved from region to region – coming to new towns where their abilities and skills were considered a novelty. When the novelty had worn off, or when the people of the towns became distrustful and superstitious, the Gypsies would move on. The people’s distrust led them to blame any recent problems on the outsiders – if you lost a few coins, the Gypsies must have taken them! If your child ran away, the Gypsies must have stolen her! So over the years the Roma people gathered all kinds of negative stereotypes across Europe. A group of Roma prisoners at the Belzec death camp, ca. 1940. Whether or not these stereotypes are true, the Roma people have nearly always been treated as lowest-class citizens. When groups of Roma decided to stop wandering and settle, they would be pushed to the edges of society. In a few countries they were made slaves, and they have been targets of racial hatred and even genocide. 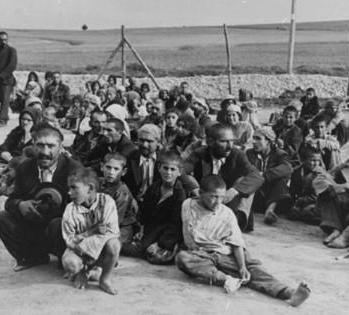 Anywhere from 250,000 to 1.5 million Roma people were killed during the Holocaust of World War II. Today, the solidification of political borders has made their nomadic way of life all but impossible, and modern media and technology have made many of their former trade skills obsolete. The Roma have settled, gathering in large concentrations in central and eastern Europe. But old stereotypes die hard, and the Roma people are still pushed to the edges of society. The educational systems in Slovakia are strong, but Roma children are offered fewer and poorer opportunities than their Slovak counterparts. Roma men and women are denied jobs, even when work is desperately needed. Many live in slums or settlements on the edges of cities or villages, and they have little voice in politics. In a few places, the Roma still hold tightly to their own language and culture. 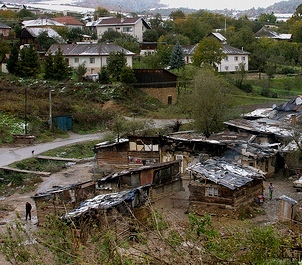 But in many places like Slovakia, the Roma heritage is slowly dying as the people struggle to find their place in the larger society. The Roma people are among the most neglected and forgotten people on earth. Will you join with us as we minister among them? 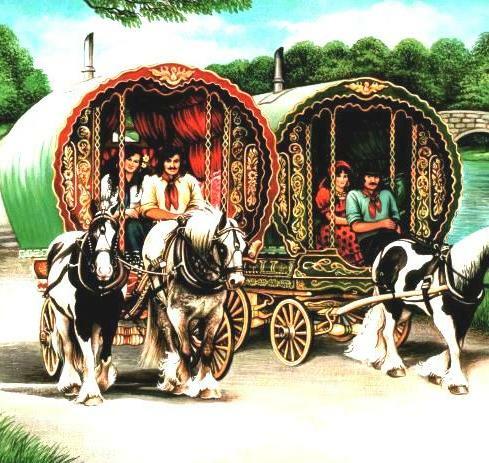 The word Gypsy has taken on a very negative connotation in many languages, used almost as a curse or insult. The word Gypsy is derived from a long-held misconception that the Roma people came from Egypt (Gypsy roughly means “little Egyptians”). In popular culture, Gypsy has become less about a group of people, and more about a nomadic or mysterious lifestyle. In contrast, the word “Roma” comes from the Romani word for their own people.